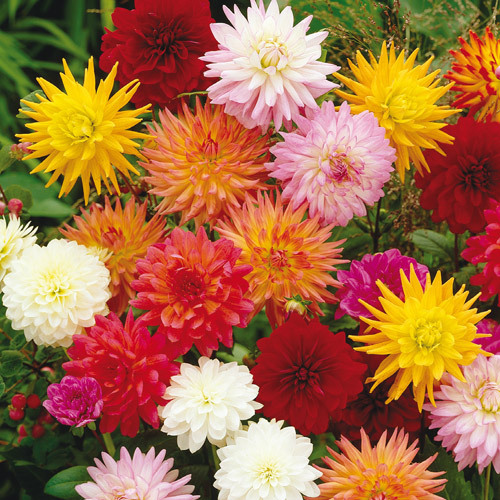 Developed for the cut-flower market in Holland, the Karma Dahlias® Mixed includes a mix of brightly colored flowers on strong stems. These showy, sun-loving perennials grow 32-48" tall and have extraordinarily strong stems. Their fully double flowers have outstanding, almost iridescent colors. Best of all, they have a vase life that ranges from 7-12 days. 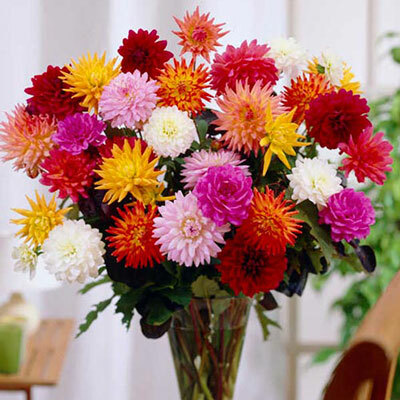 The Karma series, developed by the Verwer Brothers, adds show-stopping color to borders and cut flower bouquets. They are deer resistant and easy to grow. Bloom from midsummer to frost.